Mitsui Chemicals Purchases Share of DENTCA, Inc.
Mitsui Chemicals, Inc. (TOKYO:4183), to further expand its dental material business, acquired 50.01% of issued and outstanding shares of DENTCA, Inc. (“DENTCA”) on June 20, 2013. 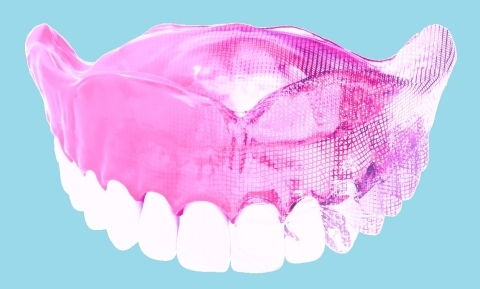 DENTCA, with its head office in the United States, develops, manufactures, and distributes dentures using new cutting edge computer-aided design (CAD), computer aided manufacturing (CAM) technology, and proprietary 3-Dimensional modeling and printing technology. The dentures market is expected to continue to grow leveraged by the increase in aging of world-wide populations and rising incomes in emerging countries. Mitsui Chemicals targets expansion of its global denture business through DENTCA’s cutting-edge denture design technology using CAD/CAM and its own advanced material development and processing technology to develop high-performance dentures that meet global needs. In addition, both parties will benefit from the synergistic effect brought by the abundant selection of dental-related materials of Heraeus Dental. Mitsui Chemicals (TOKYO:4183)(ISIN:JP3888300005) contributes broadly to society by providing high-quality products and services to customers through innovations and creation of materials and products while keeping in harmony with the global environment. Mitsui Chemicals’ business portfolio includes petrochemicals, basic chemicals, polyurethanes, functional polymeric materials, functional chemicals, and films & sheets. The Mitsui Chemicals Group traces its origins back to 1912. The Group now has over 100 companies and around 13,000 employees in over 10 countries worldwide. In the fiscal year ending March 2013, the Group posted consolidated sales of US$ 14,952 million. DENTCA, Inc. (Los Angeles, CA), the pioneer of CAD/CAM Denture Technology, produces high-quality dentures in just two visits through CAD/CAM, proprietary 3D modeling and printing technology. By introducing game-changing technology to dentistry, DENTCA received the Pride Institute’s Best-of-Class Technology Award in 2012 — the first denture company in history to receive this coveted award. DENTCA’s patented tray system is designed to save significant time by enabling doctors to capture the impression, VD and CR in the same patient visit in less than one hour of chair time. With extensive patent protection, client relations, and dedication to R&D, DENTCA is committed to advancing modern dentistry with this state-of-the-art, revolutionary technology for years to come.